Longer and more luxurious than another recent triangular cowl design, which comes to mind, this cowl pattern sells for $5.00 on Ravelry. 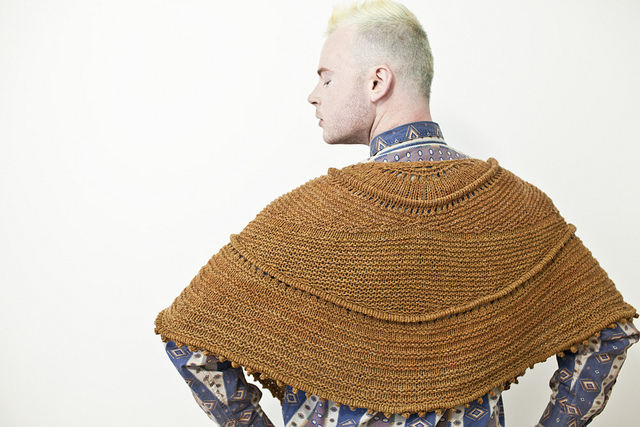 Purchase it now and get started on your Christmas knitting gift list. Knitnscribble is planning several already. American yarn, 'Pioneer,' from A Verb for Keeping Warm yarn, and the California Wool Project. 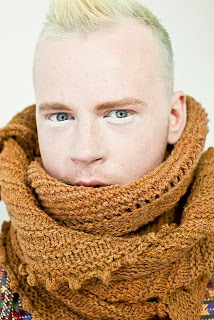 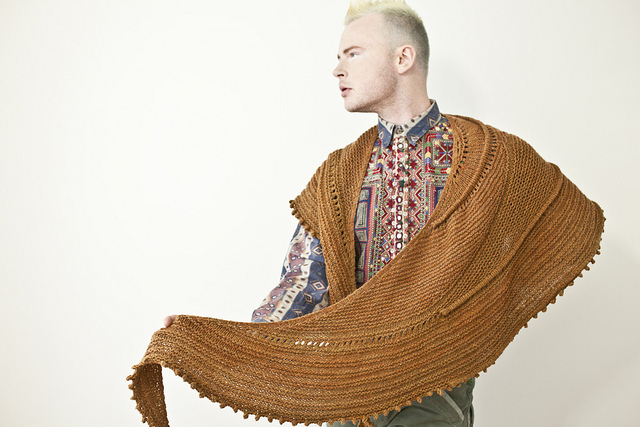 Stephen West of Westknits used Pioneer for his new 'Iberian Discovery', a really versatile unisex shawl, wrap, scarf pattern posted in June of this year. 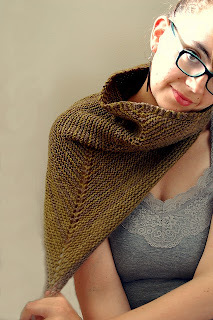 "There are three fun welts to work along with garter stitch short rows, knit purl texture and a picot bind off. 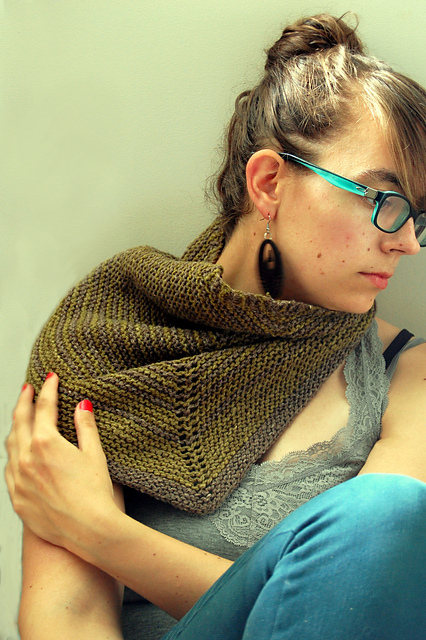 The final shape is luxuriously long, ideal for dramatically tossing one end over the shoulder or wrapping round and round scarf-style." 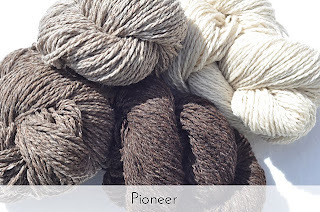 Huelo Dunn at Verb writes, "We'll have more Pioneer in the fall!"